Our runways have chalk centre lines, these are easily worn out and become damaged especially in wet conditions. Please avoid putting your wheels on the centre lines. Runway 21 is 45 metres wide please land to the left or right! 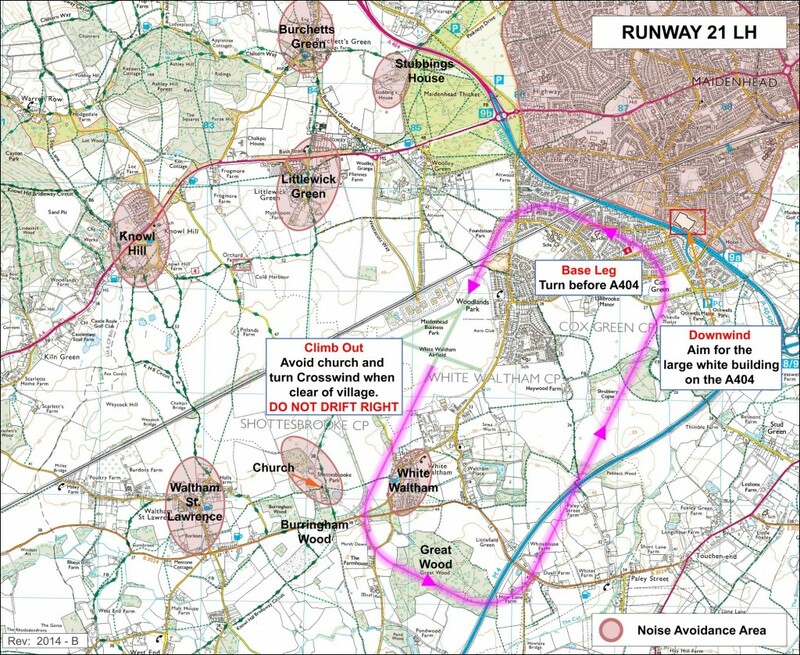 Runway 21 – After take-off, maintain runway heading until past the noise abatement areas – do not overfly the Church, White Waltham or Waltham St Lawrence. 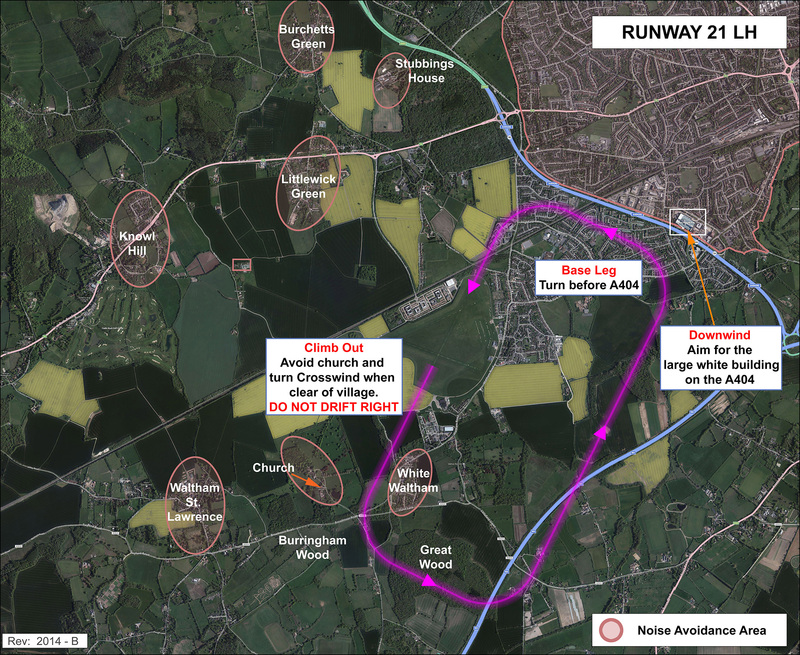 Depart the circuit either straight ahead to South West until clear of the ATZ or from base leg to the North West. If departing from base leg remain at circuit height 800ft QFE until clear of Eastern part of the ATZ to avoid infringing controlled airspace at 1500ft QNH.